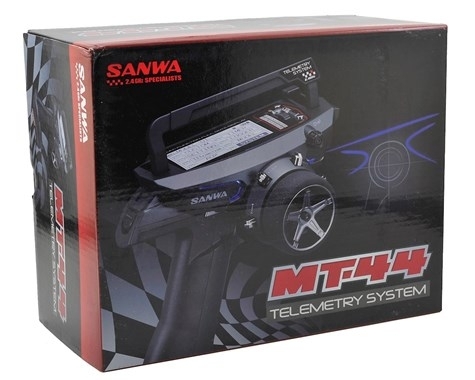 With the MT-44, Sanwa offers a model in the middle class of the upmarket car transmitters. 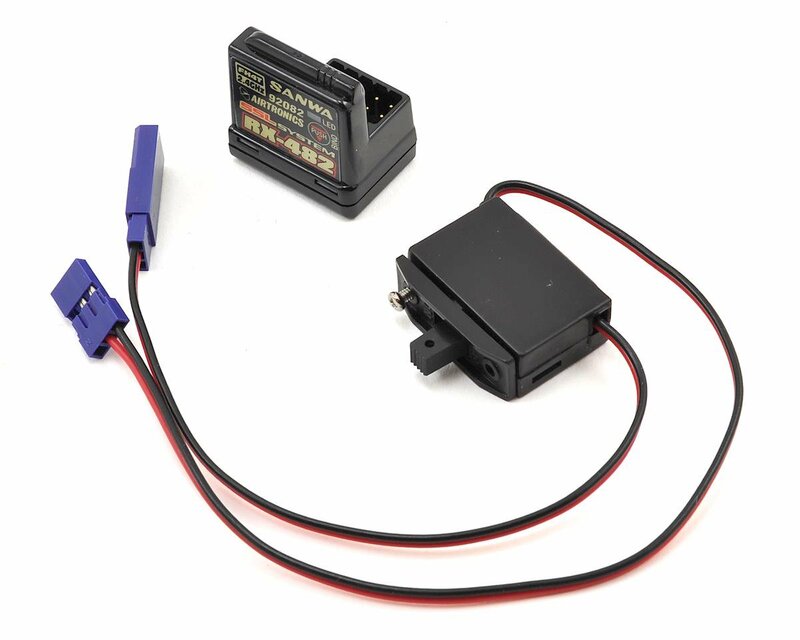 The transmitter uses proven Sanwa transmitter technology, works in FH3 and FH4T mode, is telemetry capable, has 4 channels and is extensively programmable. Of course, the different servo modes NOR, SHR and SSR are also on board to achieve a minimum in regard to response time. 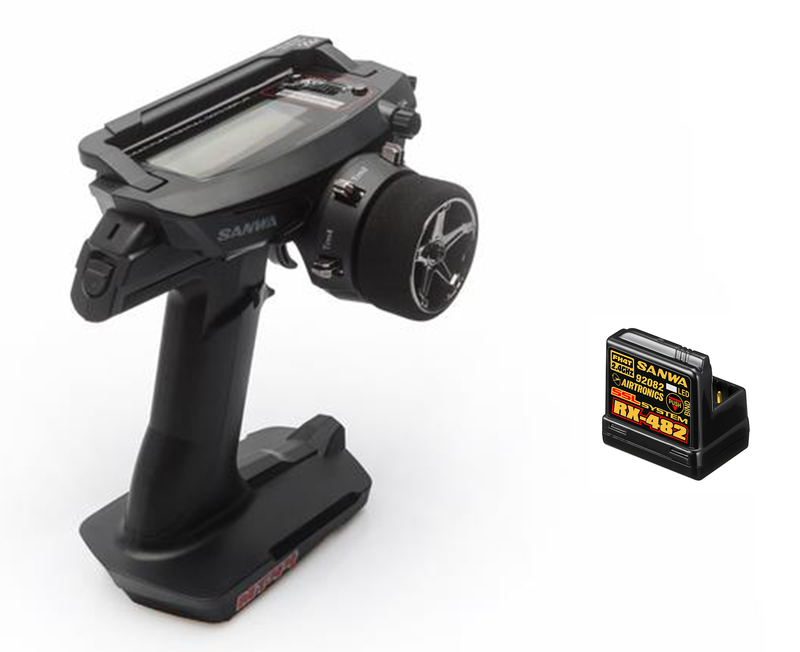 Besides the new, ergonomically designed housing with foldable carrying handle, it offers a high-resolution display as well as further reduced weight: Only 3 AAA batteries or a small 1S LiPo battery (#430356) is needed, also effortlessly enabling longer runs. The update of the transmitter to the latest firmware versions is child’s play with the integrated Micro-SD slot. 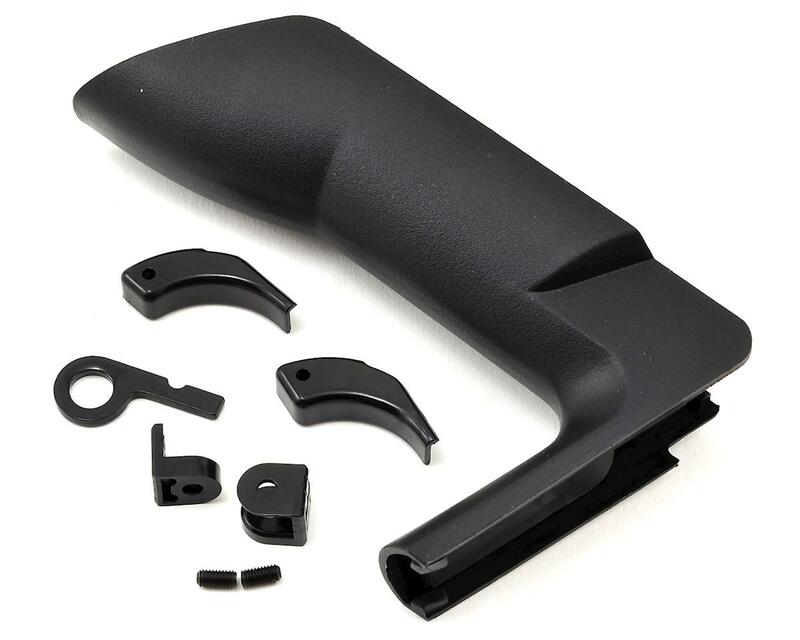 The package is topped off with a small RX-482 receiver that doesn’t need an antenna and therefore can easily and space-saving be placed in every model. The Sanwa MT-44: light-weight, convenient, versatile – a true reference!